Earthing and Heart Coherenece go hand in hand. 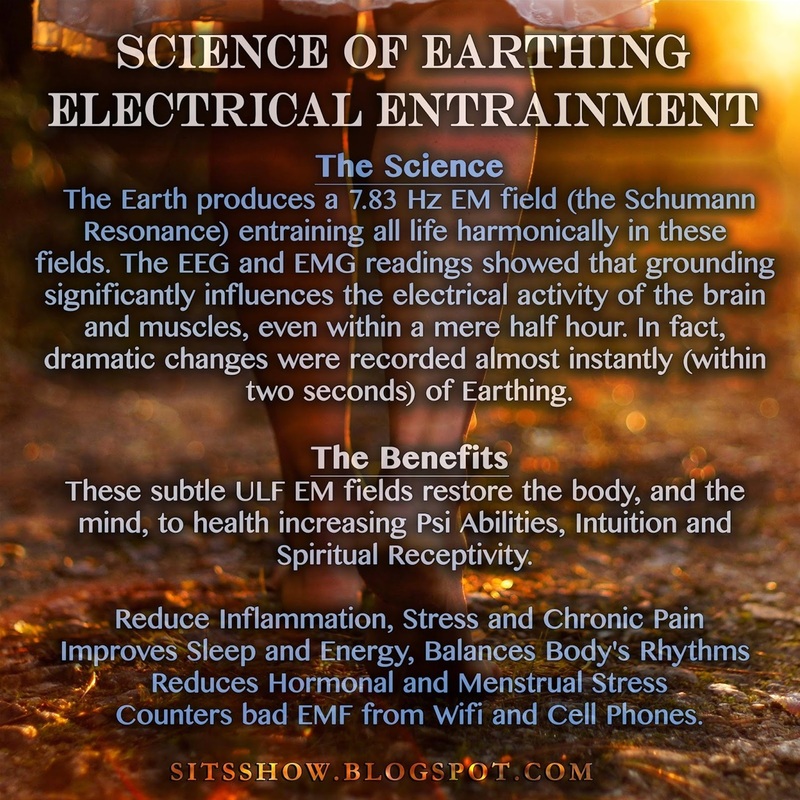 It is proven by science that when you are Earthing you lower the controlling activity of the mind and mind chatter. It supports the right side of the brain and parasympathetic being so that we can access our true hearts desire, or purpose for us. 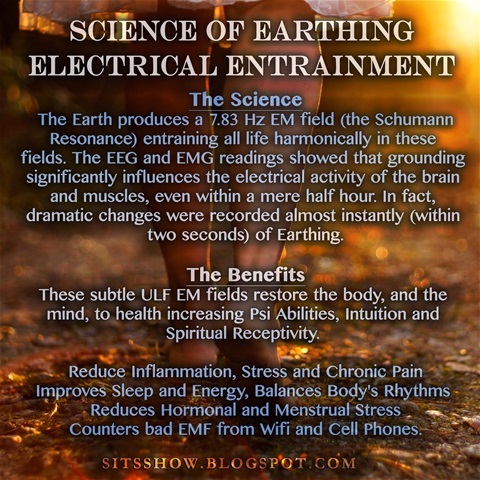 I heard about Earthing a few years ago in passing so I never took it to heart. Being someone connected to Gaia (Earth) I thought I was ok.
During my HeartMastery classes the heart techniques began to take us deeper into our psyche. But through this I was also learning new ways to really connect with this planet of ours. I have always prided myself on already being connected but I was looking for a concrete way of hearing her true voice. Working within the heart and the HeartMastery techniques I soon heard her. Not just her voice but many other ways of connection. I spent more time saying Good-Morning to her and telling her how beautiful she was; just really taking her in and giving her gratitude for everything I have that has come from her. If you think about it everything you own and eat comes from her body. I was taking more time to give gratitude for all the nature around me and even placing my hands on the trees, keeping the birds fed and watered etc. I would also tell my horses how lucky they were that they could live out in the open and survive out there even in inclement weather. I felt myself wanting to become closer to Gaia and the natural realms but what more could I do. I mean I was already giving her offerings of honey and barley. What more was there? So, I kept Gaia close to my heart during my HeartMastery techniques and finally I got the answer. I grocery shop at our local whole foods store in town and they have an area where they sell books. The last few days I was driven to go there but having a stack of books already waiting to be read I just kept going by. But, this one particular day the draw was so strong I felt myself walking up to the shelves like I knew exactly what book I was looking for even though I really had no clue. My eyes scanned a couple books and I saw the words Earthing. Before I know it I had that book in my hands and just knew in my ‘heart’ that was the one that had been calling to me. When I got home, I realized it was a topic I learned about years prior like I said. But this time I heard my heart’s desire to learn about this very profound process of grounding into our Earth. This book was like sitting down and having a full conversation with Gaia. I knew this was what she wanted me to know and this was her way of bringing me closer to her. Grounding or Earthing is a process using Earths’ negative electrons to heal our body and bring it back into “electrical” balance. Since we are all nothing more than electricity with a covering to house it, some call it an avatar, when this avatar this body is out of electrical balance illness, and disease occur. And yes, our heart and brain need the negative electrons from Gaia to help keep them working in synch and in coherence. The Native people of this planet knew this all along. The negative electrons is what helps to weed out the excess free radicals coursing through our body in turn fighting against inflammation, inflammation the mother of all disease and illness. There is so much more info out there and I am not the expert, just an experiencer. The technology is simple and affordable to help keep us Earthing and grounded. Sheet covers for your bed the one important thing. Can find them on Amazon. And walking barefoot more, even a few minutes a day can make a difference! Especially those near the ocean. The shoe was the most dangerous invention they say. It cut us off from our life-giving Mother. So many people today are experiencing the benefits and finding healing. This and working in the heart and finding our true hearts (Spirit) desire is so integral for us to have that joyful and purposeful life. So, by me doing my Heart work, I was able to connect once again with this great Planet. She breathed a huge sigh of relief when I brought that book home. We are part of her, and she is part of us and to be cut off from each other is very deadly. So, when you work with me you will also be working with this Planet.